For the majority of business owners, pensions are an important part of their financial plan and can be used in the profit extraction and tax planning process. Pensions can also be used to hold company property and premises and even make loans to the company if capital is required. Working closely with your accountants to extract money from company profits in a tax-efficient manner, identifying what proportion of the income should be paid out as a salary and what proportion in dividends. Pension funds can be used to purchase commercial property. The property can then be rented out to provide a rental income to the pension. SIPPs and SSASs are able to borrow up to 50% of their value, in order to facilitate the purchase of property. Owning business premises via a pension can be another tax efficient form of profit extraction. A registered occupational pension scheme may make a loan to a sponsoring employer or any party unconnected to the member. Any loans to a sponsoring employer should be secured and made on a commercial basis. With effect from October 2012 the laws regarding pensions have changed. Every business will be obliged to set up a pension scheme for eligible employees. 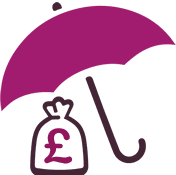 It is now compulsory for employers to automatically enrol their eligible workers into a pension scheme. Automatic enrolment is being phased in, starting with the largest UK employers. So if you’re eligible and haven’t yet have enrolled, you should be by April 2019. The above are complex transactions and require detailed knowledge, in-depth planning and careful consideration. Please contact us for further information.